We are The Store Decor Company! We focus on fulfilling your vision for an extraordinary customer experience. Our experienced team understands the challenges you face in a competitive sales environment. We promise to integrate our knowledge and ability into your brand communication strategy to maximize your profitability goals. Focused on fulfilling your vision for that "extraordinary customer experience". Our experienced team understands the challenges you face in a competitive sales environment. We promise to integrate our knowledge and ability into your brand communication strategy to maximize your profitability goals. The combination of state of the art equipment, innovative production ideas, pride in versatility and old fashioned American craftsmanship form the foundation of our fabrication talents. Additionally, a "we can do anything" attitude offers you the best assurance for success in the retail graphics industry. If you can dream it, we will discover how to build it! The Store Decor team of experts concentrates on providing products focused on promoting your brand personality. Our staff is driven by the opportunity to transform raw materials into valued items that capture and complete your brand essence. The core values of your brand will soar to new heights with the proper products and installation. Below are a few examples of our work. Don't see exactly what you're looking? Please challenge us! If we haven't built it, we will find a way. Imagination is not limitation! From elaborate design to comprehensive installation, you can rely on The Store Decor Company. Because your time is valuable and your full attention is required doing what you do best, allow us to do what we do best. In addition to top quality fabrication, we offer detailed strategies and solutions to improve your brand, manage your projects and enhance your decor programs. From original concepts to collaborative design partnerships, our veteran team can realize your vision and differentiate your brand. 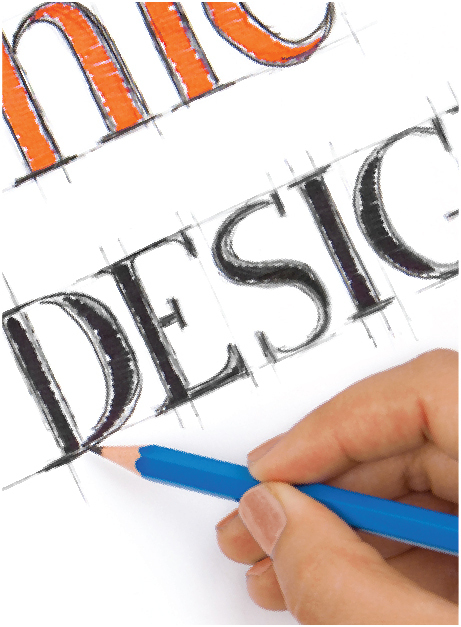 We regularly work with corporate in-house designers, marketing groups and retail design firms. If you are a sole proprietor needing design work, Store Decor’s in-house design department is fully capable of creating your own unique display or decor package. Our designers carefully consider your desired brand program while focusing on performance, value and maximum impact. Our ultimate goal is to help you strategically align your brand, retail vision and sales strategies so that you can do what matters most—work to increase sales and profits. The job is not complete until the finished pieces are attached or suspended in optimized locations for the world to see. Our internationally experienced in-house installation team understands the importance of reliability, consistency and professionalism when constructing your distinctive look. Let us convert your space into a world of enchantment! 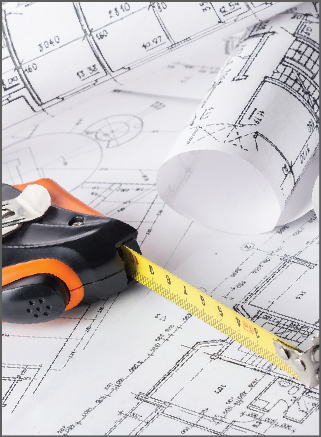 Store Decor associates offer a wide range of expertise to assist in project management. Whether you need us to manage your entire project, or only specific segments, below are just a few of the services that our clients regularly utilize to improve their ROI. The expanse of our capabilities and resources makes us a superstore for merchandising specialists and retail project managers. We will build it, print it and source it. Then, we package and deliver it where and when you need it. Do you have something special you want us to insert into your rollout or packages? No problem! We are happy to coordinate packing insertions, special finishing or complete final assembly. When it is time to introduce a new product, service, pricing adjustment or decor package; our flexible service offerings will support and execute any level of change management you require. The significance of any adjustment to your retail decor plan will never be overlooked by us. No project is too big or too small and we understand the meaning of the word deadline. Please contact us with your specific needs. Our site survey professionals understand the importance of accurate data and its relation to the successful completion of any decor project. Our survey abilities range from physically measuring fixtures or walls to blueprint review, site photography, and ultimately, decor & signage location and material recommendations. Our experienced shipping department attentively works with the best carriers to find the most economical, timely and reliable delivery services available. We also work with third party logistics firms, private carriers and international importers & exporters. 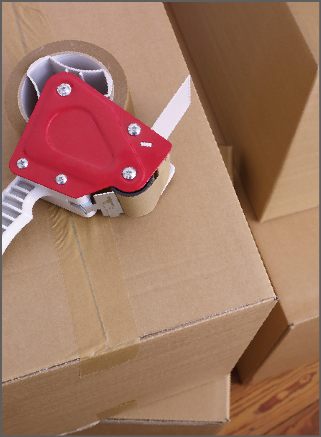 From small packages to full truckloads, we can accommodate all of your shipping needs. For over thirty years, The Store Decor Company has been providing visually exciting interior signs, graphics and retail decor for the nation’s leading retailers, entertainment centers, restaurants and service providers. From warm and inviting to engaging and theatrical, our high impact creations separate you from the competition. We promise to fulfill your brand communication strategy utilizing our vast experience and resources in premium design, exceptional fabrication and expert installation. The Store Decor Company was founded in 1983 by Robert Potts in Rowlett, Texas, as a complement to his already successful store planning company, Robert Potts & Associates, which works with independent hardware and drug retailers across the nation. Bob began his store-planning career in 1954 as a remodeling specialist at a wholesale drug company. He quickly realized the importance of adding interior signage and decor to help guide customers to various departments within a store. The decor items Bob conceived and produced set him apart from others in his industry, and set his clients apart from their competitors. These ideas and concepts are still the driving force behind The Store Decor Company today. From humble beginnings, which included one small building and two employees, Store Decor has grown to utilize 14 buildings at 120,000 square feet, over 100 team members, state of the art equipment and a creative work environment to continuously establish the standard for fabulous retail experiences. At Store Decor, our mission is to create an exciting and effective trade environment for our client that enables the sale of more products and motivates the consumer to repeatedly visit. Robert Potts began his career with a wholesale drug company, McKesson & Robbins of Dallas, TX in 1954. His position was that of a remodeling specialist to McKesson’s customers. He was to sell drug store owners, and to other businesses if he could, on the benefits of remodeling and/or creating new stores. He was paid a commission on the sale of store fixtures to these customers. During the late 50’s and early 60’s, Bob developed a decor expertise that aided him in selling store fixtures to new or remodeled stores. The decor he designed and sold set him apart from his competitors. He established his own firm, Robert Potts & Associates, and developed many steady customers. His firm had something no other store fixture firm had, and the customers wanted more. The first hardware retailer in the United States to use Bob’s decor ideas was Elliott’s Hardware of Dallas, TX. Mr. Jerre Elliott allowed Bob to design and install the newest, most outstanding decor ever seen in a self-service store of any type in the nation. Elliott’s Hardware, a member of the nationally known True Value Hardware cooperative, opened in 1971 and gained national and international attention. The store was extremely successful because of Elliott’s expertise and Bob’s decor. It could be said that Elliott’s pioneered the use of greeters at the front door, self-service displays on all hardware items, and excellent interior decor. This set them apart from most hardware stores in America. Lumberyards, gift shops, book stores, pet stores, and even clothing stores, after seeing Elliott’s Hardware, became clients of Potts & Associates. The Foxworth-Galbraith Lumber Company—at the time having 54 retail locations in Texas, New Mexico, Arizona, and California—asked Bob to assist them in the design, fixture installation, merchandising and decorating of their new Building Materials Centers. They also requested that he develop a merchandising training program and conduct seminars for their employees. Eventually, Bob further developed this training program and began providing it for numerous retailers and lumber/hardware associations in many states. The importance of effective decor within a retail establishment was stressed and incorporated during seminar sessions. Decor items such as plaques, symbols, letters and stripes had to be manufactured by Bob himself. He would rent or borrow a hot-wire cutter from a florist to cut letters out of styrofoam. 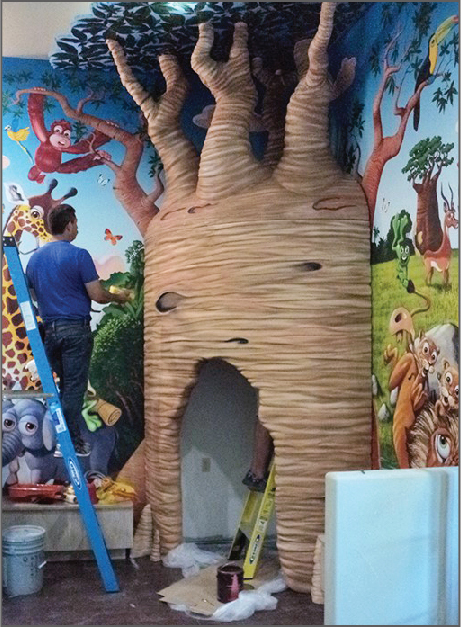 Business demands grew, and soon, the decor manufacturing phase moved to its own building in Rowlett, TX, and became the offshoot retail graphics firm—The Store Decor Company. Bob’s eight sales associates kept his young company busy constructing decor for the stores they designed or remodeled. In the early 80’s, computerized vinyl cutting machines were invented and Bob purchased several of them. This added exciting, new capabilities for the company; they could now supply hundreds of interior signs for their retail customers in much less time. With the purchase of a computerized CNC router, it became possible to cut letters, stripes and symbols from any kind of material. Employees no longer had to cut by hand. Potts & Associates received numerous awards and recognition for its fabulously designed stores in every market of the nation. The use of its own firm, Store Decor, was key to its success. Then, along came the “category killer”, a type of retailer that specialized in and focused on a specific category of consumer products with increased buying, selling, merchandising and advertising. Companies like BizMart, PetStuff, Petco, OfficeMax, Office Depot, Staples, PetSmart, Men’s Warehouse, The Container Store, PayLess Shoe Stores, Zainy Brainy and Lil‘ Things all opened hundreds of stores across the United States. These companies relied on effective decor to convince their customers that they had the greatest selection at the lowest price. They focused on guiding customers through the store in a way that would increase sales because of impulse purchases. Brilliant colors, great designs, and impactful images improved the customers’ opinion of the store. The consolidation of the companies‘ purchasing power from manufacturers increased their gross margins tremendously. Hundreds of joint venture financing firms made these companies work; then they took their stock public for grander rewards. Store Decor was one of only a few firms that specialized in helping these stores accomplish their goals. Their main competitors were exterior sign companies, which were hardly competition at all since they lacked the necessary decor expertise. Store Decor worked with hundreds of these retailers via Potts & Associates and was greatly rewarded with increased volume and profits. The influx of international individuals to the country provided an opportunity for retailers to enjoy tremendous sales to new citizens. Bob calculated that, through the use of visuals such as sculpted objects or flat cutouts of products, he could enhance the shopping experience and avoid the necessity for a customer to be fluent in the English language. 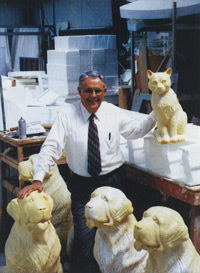 Sculptors who had experience carving styrofoam were added to Bob’s team. Large items—like vegetables & fruits for grocery stores, or hammers & saws for hardware stores—were carved, painted and installed in stores all across the United States. Employing these visual graphics with great success were retailers such as Elliott’s Hardware, Sears Hardware, Sears/Orchard Supply Hardware and other numerous building materials centers. Architectural firms soon discovered that Store Decor could produce architectural elements. The architects wanted elements for exterior use where stone sculptures proved to be sometimes cost prohibitive. Since styrofoam deteriorates when exposed to the weather, Bob and his team needed a way to protect it. They found a polyurethane chemical mixture which was used for coating pipeline interiors to prevent them from leaking. After many attempts, they were successful in coating styrofoam sculptures with this material, making the foam impervious to weather. Numerous projects were completed and installed all over the United States and beyond. Store Decor has sculptures facing the Atlantic and the Pacific oceans, a large project in Saudi Arabia, and also an ornate facade on the main building of Lone Star Park horse racing track in Grand Prairie, TX. Store Decor’s incredible versatility is showcased on many McDonald’s restaurants in Texas and other states. On the restaurant near the Dallas Zoo, carved cartoon animals provide a wonderful gateway to the zoo and have helped to make this landmark McDonald's a whopping success. Another outstanding example is located on Montfort @ I-635 and includes giant hamburgers, french fries, and a larger than life Ronald McDonald. In January of 1996, Bob and his key employees traveled to 3M in St. Paul, MN to research electrostatic wide format printers. Bob felt that, since the best product merchandising was visual, what better way to show your product to potential buyers than with a large, vibrant picture! 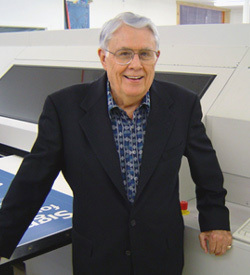 His company purchased its first Scotchprint in 1996 and an additional machine in 2000. Bob and his staff continue to search out other types of printers to help expand their visual graphics department. Since his initial printer purchase, several machines have been retired and replaced to keep Store Decor at the forefront of printing, cutting and print finishing. Examples of that can be seen in every store for which Store Decor designs or manufactures. The equipment evolution continues as Bob strives to provide better service and superior products. It all began by the Grace of God and a desire to make things better.